The APA (American Psychological Association) style is followed by all kinds of academic institutions, journals, articles, and books. But nowadays, information isn’t only found in books and on websites. 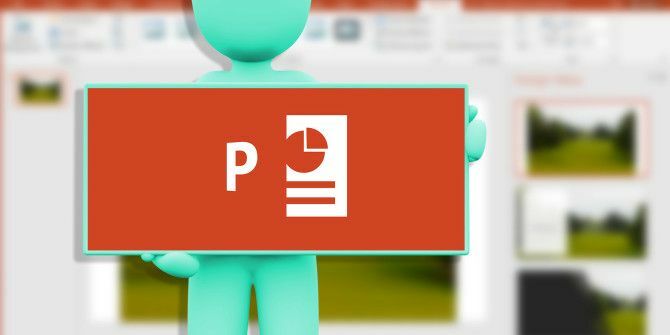 PowerPoint and Keynote presentations hold tons of knowledge. And yes, if you’re going to include that knowledge in your papers, it must be cited properly. But like all things, there are particular rules of citation The Best Citation & Bibliography Tools to Write a Better Research Paper The Best Citation & Bibliography Tools to Write a Better Research Paper Here are a few citation and bibliography tools, most of them free, that will help you cite your sources correctly and put together your bibliography no matter how complex. Read More you have to follow. 1. Cite in References. Include it in the References list like any other online file (e.g. PDF) but mention the file format in brackets and the “Retrieved from” URL pointer. 2. Cite it in-text. You can also treat the presentation as personal communication and cite it in-text when the slides are from your teacher and not available on the web. Cite a presentation the same way you would cite any other example of personal communication. Use the author’s last name and the year of the presentation in brackets. Give as precise a date as possible. (Last Name of Author, personal communication, Date of publication), "Paraphrased idea"
According to (Torrance, personal communication, December 17, 2017), "There is a chronic disconnect between what people set out to do and what they actually achieve in life." APA does not provide specific rules for direct quoting of the exact PowerPoint slides. When you are paraphrasing an idea from another work as above, you only have to make reference to the author and date of publication in your in-text citation. You can use the “n.d” notation when no date is given. APA style rules also say that authors have to use the past tense or present perfect tense when using phrases to describe earlier research. Use these basic guidelines. The Purdue Online Writing Lab has an excellent and concise guide for APA Style usage with more scenarios clearly explained. Do you find citing sources cumbersome and confusing? Have you managed to master it with practice?